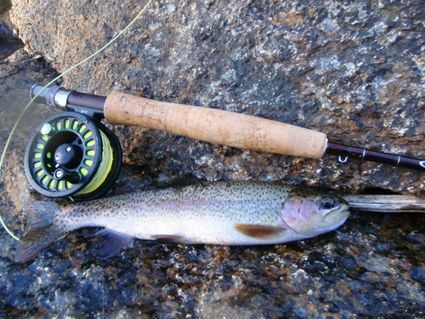 Fishing has been good for some trollers and fly fishing in the streams and the mountain rivers have still been good. 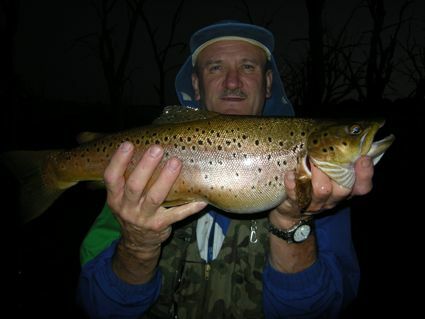 Lakes have produced a few on fly and bait fishing has improved with some good mudeye fishing. 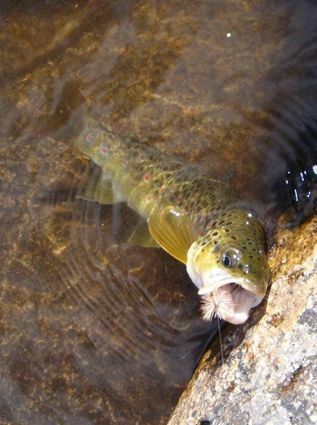 Hot conditions have made fishing a challenge but there have been a few reports of some nice fishing in the higher altitude streams. There have been hoppers around in numbers so a hopper pattern would be a good starting point during the day. Fishing was a bit slow last week, but I did manage to christen the new #4 that you put together for me. Many thanks ... A Very satisfied customer! 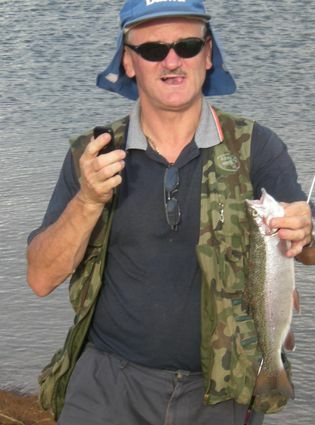 Lake Eucumbene:- Fly reports have picked up with some good hopper fishing. Keys to the fishing have been. Early in the morning or late at night. 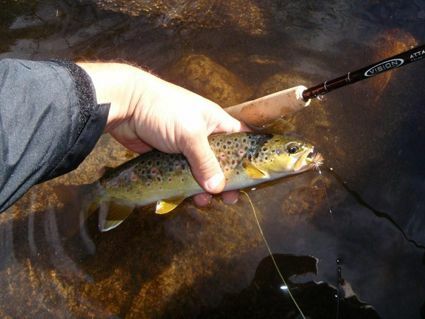 Down deep with streamers or fishing hoppers off the bank into very deep water. Mudeye hatches have been good this week with some fish on the chew too. After dark with a Taihape Tickler or similar pattern should work this week. Eucumbene:- Eucumbene trolling has varied but flat linedTassies, Lofty's and Stings have taken fish along with deeper running minnows. Reports have suggested that despite the high surface temps there are still fish close to the surface. One boat caught six one evening then six the next morning all on flat lined tassies, the anglers fished out wide in deep water and had a ball with his kids. The leadcore proved slow. Pete John and myself have been coming up every year for the last five years and this year was rather challenging with fish taking different lures every day..
We trolled friday for 2 fish on crickhoppers. :( Then Saturday we bagged 5 with most taking rapala hard bodies. Just when we thought we had the right lures in the water. We then discovered the tassie (phosphorous pearl) caught all our 10 fish on Sunday all down deep :) We decided to go out Monday which was a big mistake as the weather came in and we headed back to the boat ramp in the snow:( We decided to stay one more day as the locals were saying the fishing would improve with the cold weather. Well they were right as we bagged 7 quality fish flatlining again all on different lures to which we had been using. Canberra Bomber accounting for most of them:) Most fish were caught near the powerlines and in Braemar Bay. Jindabyne:- Jindabyne has not provided many reports this week. Had a sweet session trolling Lake Jindabyne early Sunday morning. Some nice bows were landed and one snapped off as Kyle dived for his rod coming out of the rod holder and rocked the boat causing my line to snap on a beauty. He wasnt happy and I couldnt whinge about losing the fish. Most were hooked around 6am. *The weekend proved very fruitfull for Eucumbene regulars, Flavio, Adrian and John Palmano, Dave Xeureb, Ray Figliuli and Johnny 'scrubworm' Pene. Fishing mudeyes and spinnnig with flies under a bubble a total of 38 fish were landed with many released and quite a few lost. Spider mudeyes were excellent. The largest was this brown of 1.6kg caught by John Palmano. Some of the other fish taken are pictured below. 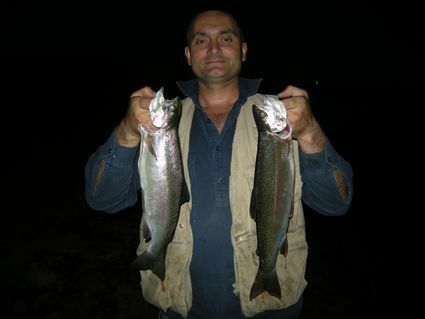 Dave X with a nice pair of rainbows.